Apple released the iPhone 5 on Sept. 21, and unleashed mayhem on America’s roadways in the process. Warning: If the car in front of you suddenly stops in the middle of a busy thoroughfare, do not blame the driver. They are simply doing what Siri has told them to do. 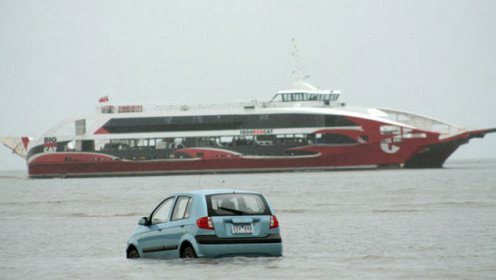 They have, according to Siri, arrived at their destination. 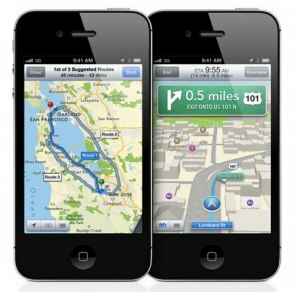 Which one is better, new Apple maps or old Google maps? The new one talks to you. That’s not necessarily a plus. You see, I recently uploaded the new operating system to my now antiquated iPhone 4S. Last Friday I was meeting a colleague for breakfast at an establishment that was previously unfamiliar to me. As an iPhone neophyte, I decided to give Siri a try. After I input the CORRECT address, Siri guided me to the Atlanta waterworks, where there was no sign of eggs, bacon, biscuits or grits. In fact, Siri emphatically told me I had arrived right in the middle of the road. What happened? Well, a few days later I learned that corporate competition has caused Apple to abandon Google maps in favor of its own maps application. This is not a helpful development for the directionally challenged. It’s a simple proof of the time-tested principle of databases: “Garbage in, garbage out.” Over time, Apple maps will improve because the data will be updated and corrected, but in the meantime, beware. All of this points to a more disturbing trend in the New South: Smart phones make dumb people. We think these devices will enhance our functionality. They help us look up the answers to important questions we need immediate answers to, like what actor played what role with Kevin Bacon in a movie in 1986. But, if we are walking down the street while looking up the answer to this brain teaser, we are likely to step in front of a bus or fall down an open manhole. I am one month into a new job on the campus of Georgia Tech, and I have already nearly killed 14 pedestrians. Not because I’m not paying attention, mind you. It’s smart phones. Students, with their heads buried in their devices, will literally walk into your car, like a rodent on a neighborhood street that dives under your car’s tires. Still, we knew how to get around. And if we didn’t, we asked people. In my last job, I did a fair amount of traveling to all the places where there are a lot of Baptists, primarily the South. At first, I would print out turn-by-turn directions from Mapquest. By the end, I would let my smartphone tell me where to go. I developed this little game where I wouldn’t use the smart phone directions unless I got lost. Guess what? It never happened. By navigating through such visual clues as SIGNS, and a well-honed sense of likely church locations, I managed to find my way every time. So don’t let the Apple maps debacle get you down. Look up. Look around you. See the sights. Get lost. Talk to people. Ask for directions. And, please, by all means, do not trust Siri. Has your smart phone made you stupid? What’s your worst experience with bad directions from a smart phone? Leave a comment below and share your story. We won’t laugh… much. This entry was posted in Uncategorized and tagged Apple, Apple maps, contemporary South, directions, drive your car into a lake, Georgia Tech, Google, Google maps, Iphone, iPhone 4s, iPhone 5, Lance Elliott Wallace, Lance Wallace, Mapquest, Michael Scott, New South, New South Essays, NewSouth, Siri, smart phone, South, Southern, Southern Culture, Southern Living, Southerners, The Office, the South, travel. Bookmark the permalink. This is precisely why I still trust those “turn left at the big rock” directions. Great Post! One of my favorite posts, yet! You had both Matt and me laughing this morning. You could add the problem of your car navigation system dying on I85 downtown Atlanta leaving you stranded in heavy traffic.